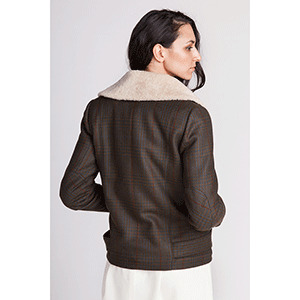 A straight-cut and relaxed wool jacket with an asymmetrical zipper fastening at front. 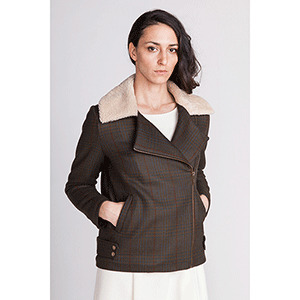 The jacket is lined, and it also has an interlining, buttonhole pockets, faux fur collar, belted hemline and elbow patches at the elbow. This pattern comes with sizes US 0 to 14 (EUR 32 - 46, UK 4 – 18). 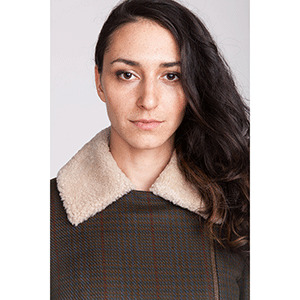 Suggested fabrics are medium- to heavy-weight wool coating, twill, ponte de roma, sweatshirt fleece or non stretch vegan leather. 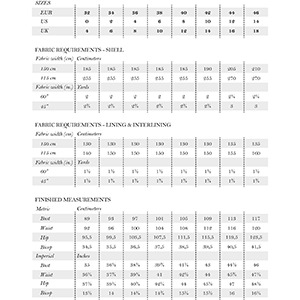 1 1/2 yard for all sizes.